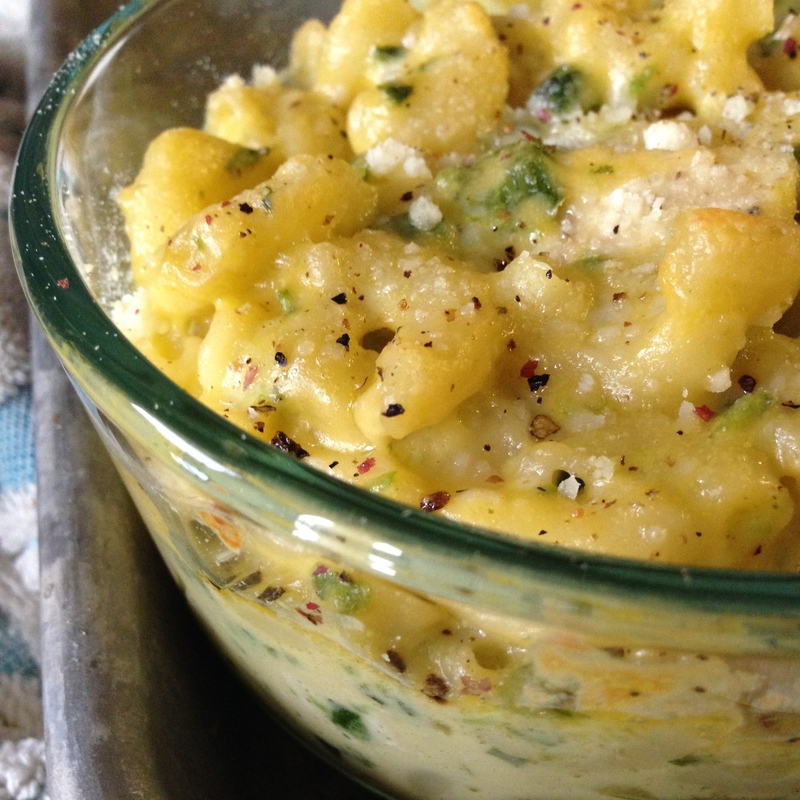 Did you know that homemade macaroni and cheese is really easy to make? 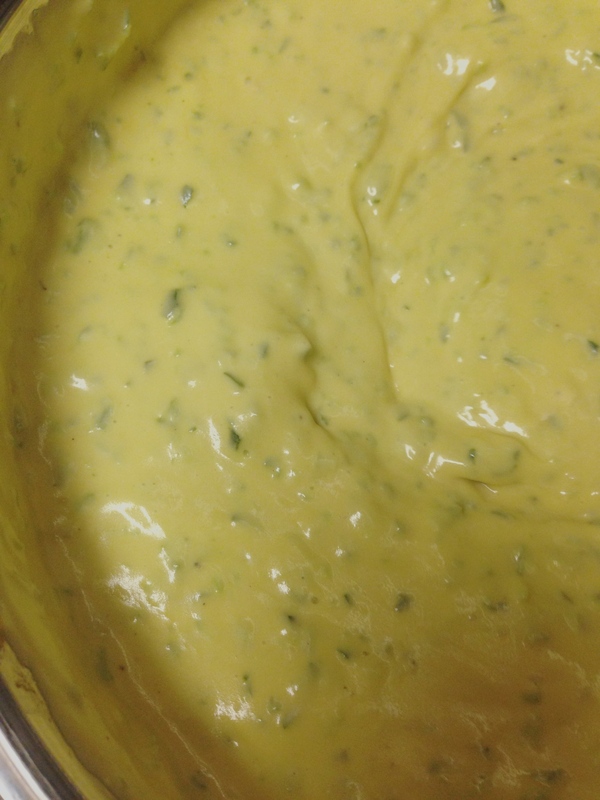 And that real cheese can be turned into a rich and creamy cheese sauce? 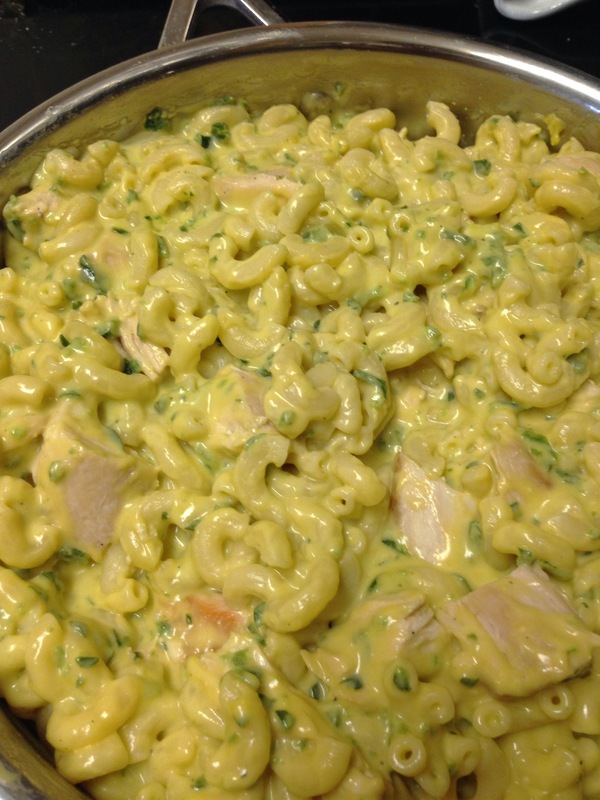 Homemade macaroni and cheese with chicken makes the perfect warm and filling meal for a cold winter evening. I love adding roasted peppers to homemade sauces like this one, it’s one of my favorite flavors, and it’s incredibly easy to roast fresh peppers at home (even without an open flame). This is a variation of my Chicken Bacon Macaroni and Cheese… you can use the basics of this recipe to make macaroni & cheese with whatever cheese and extra ingredients that you’d like! Click HERE to see step-by-step photos of the cheese sauce making process, and for more info on roasting and peeling peppers click HERE. Slice poblano peppers in half, remove seeds and stems, and place (skin side up) on a baking sheet. Broil in the oven just until skins have charred. In a skillet, add a little olive oil and cook chicken. Also, put macaroni on to boil until soft. When chicken is cooked, remove from the skillet and chop (leaving any chicken/oil remnants in the pan for deglazing) and add butter to the skillet. Once poblanos have cooled slightly, remove the charred skin (it’s okay to leave some of it on). Chop poblano peppers into small pieces, or place poblanos into a blender or food processor along with half-and-half. Blend just until peppers are chopped finely. Melt butter over medium heat, then whisk in flour. Continue whisking for several minutes, until smooth and giving flour a chance to cook. Slowly add the poblano and cream mixture while continuing to whisk, deglazing your pan. Gently bring this mixture to a bubble while stirring frequently, allowing cream to thicken. Stir in the cheese (a handful at a time). Continue stirring until cheese has melted. Remove from heat. Salt and pepper to taste. Add chicken and cooked pasta to your sauce. Stir until everything is well coated in cheese. 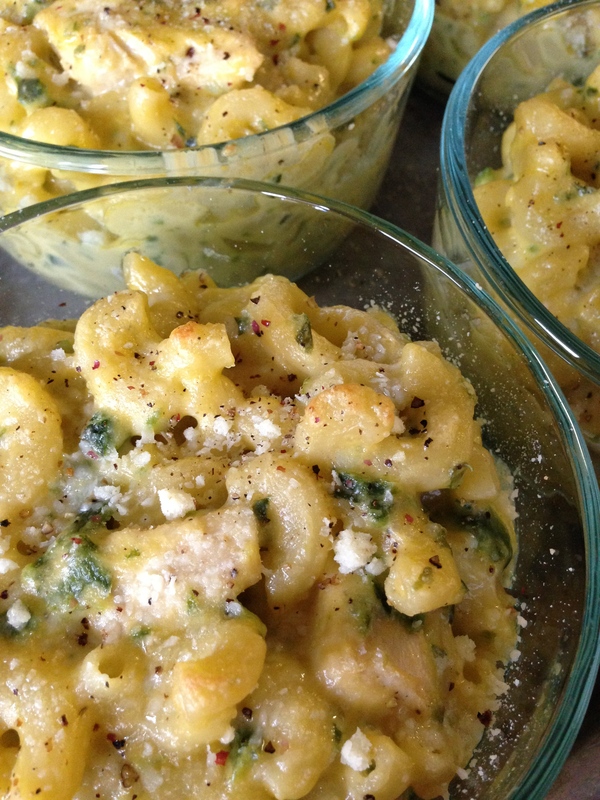 Serve right away or, for a crispy topping, scoop the pasta into an oven safe dish (I used small glass pyrex dishes). Top with parmesan cheese and cracked black pepper, then pop pasta into the oven at 350F for 10-15 minutes, just until the top has lightly browned. Cheese/cream sauces are my downfall!! I should not want to try this after all the cheesy goodness I had last night during the game, but, wow!! This looks fantastic. 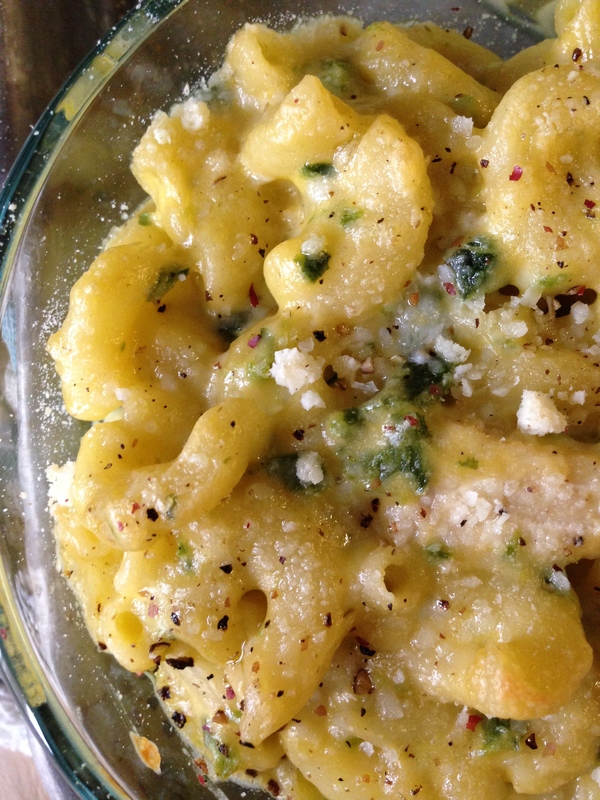 I never thought to add poblano peppers to macaroni and cheese! What a great idea!